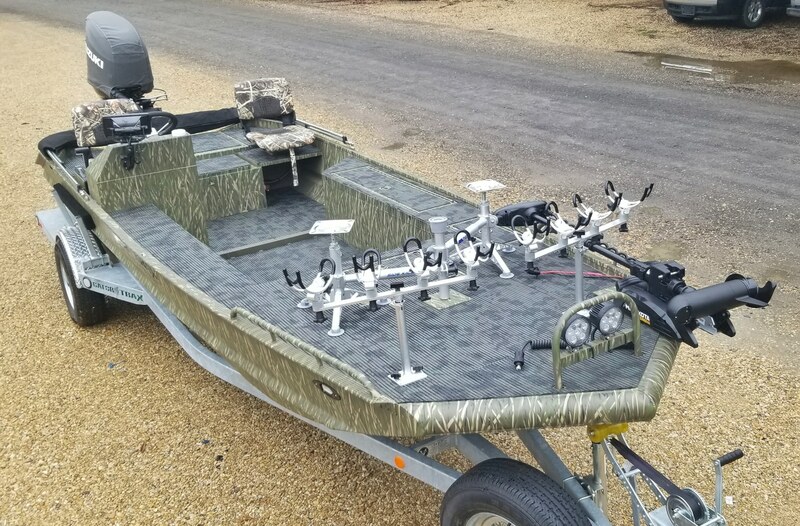 Spider-rigging for crappie mode. 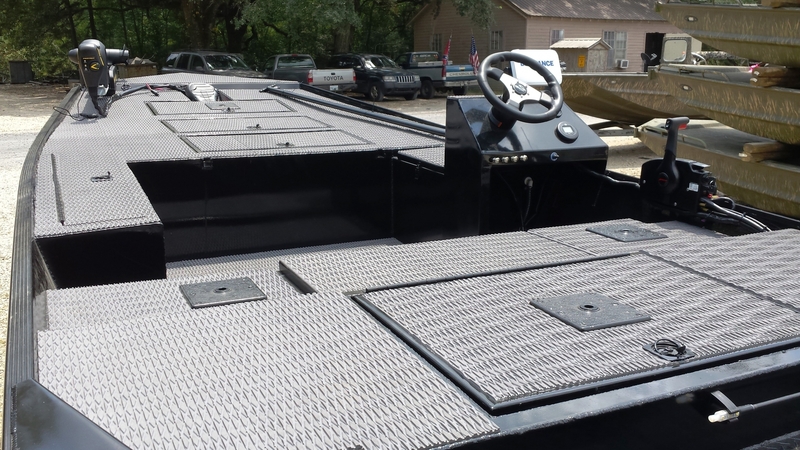 4ft removable deck unbolts for floor space when needed. 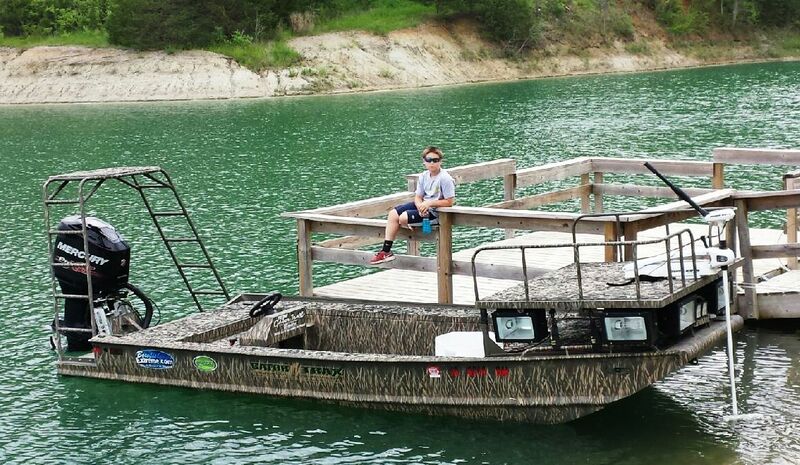 Cruising with the family mode. 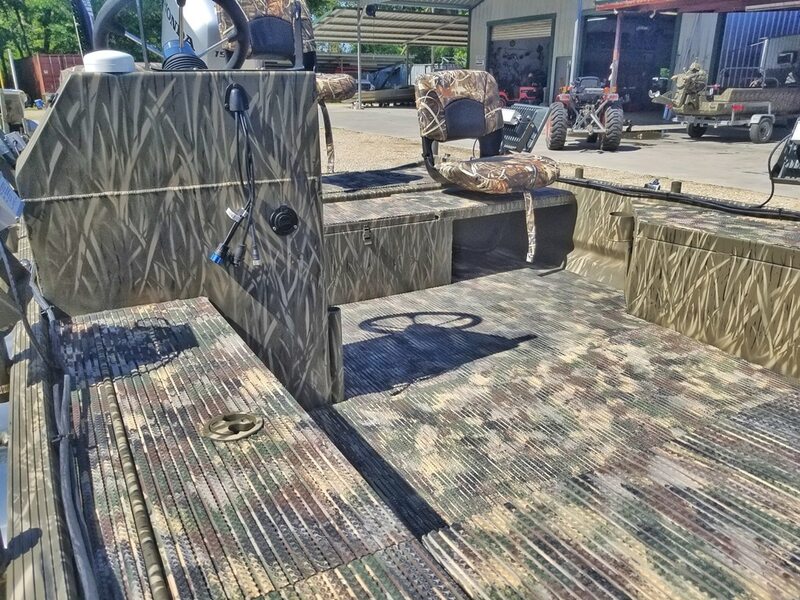 Cruising mode with deck removed. 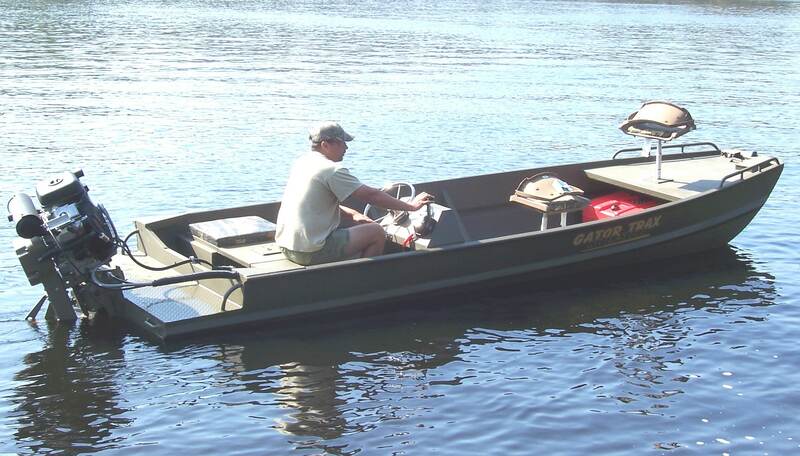 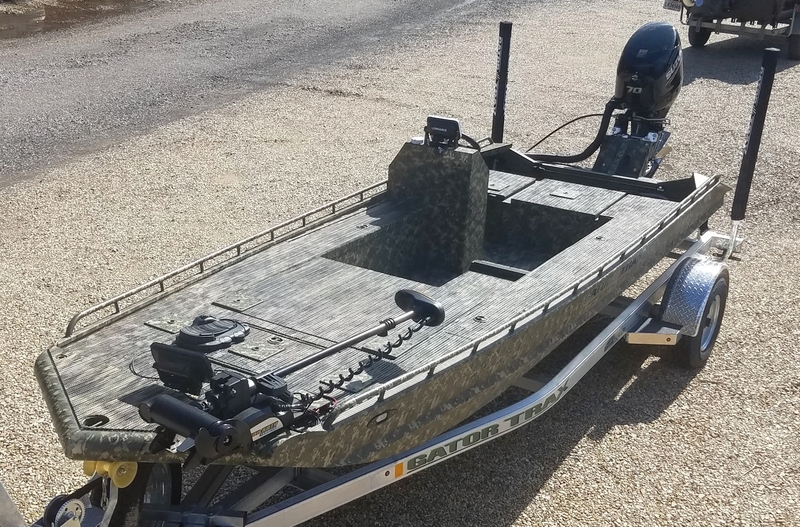 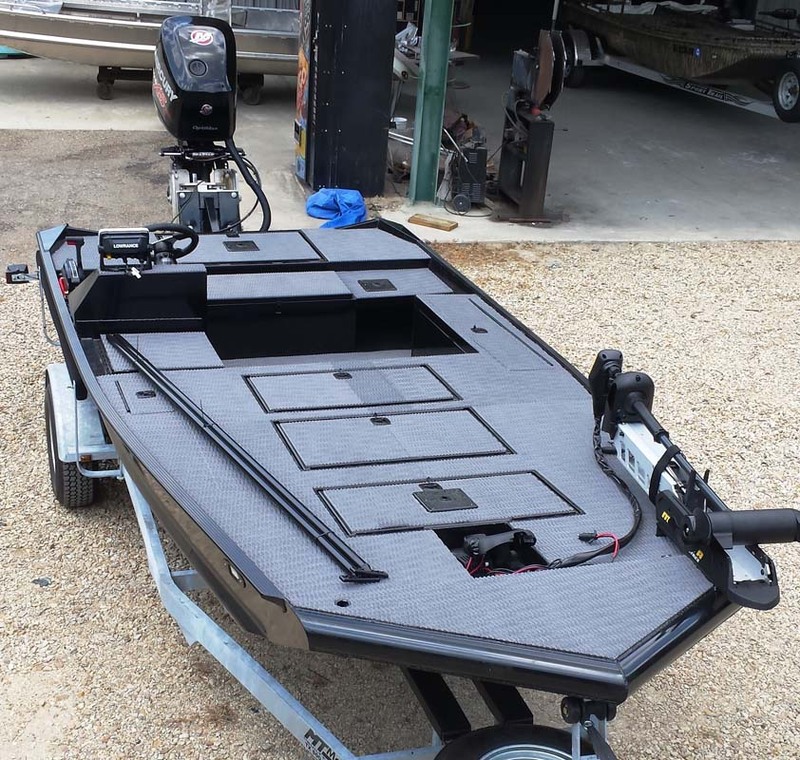 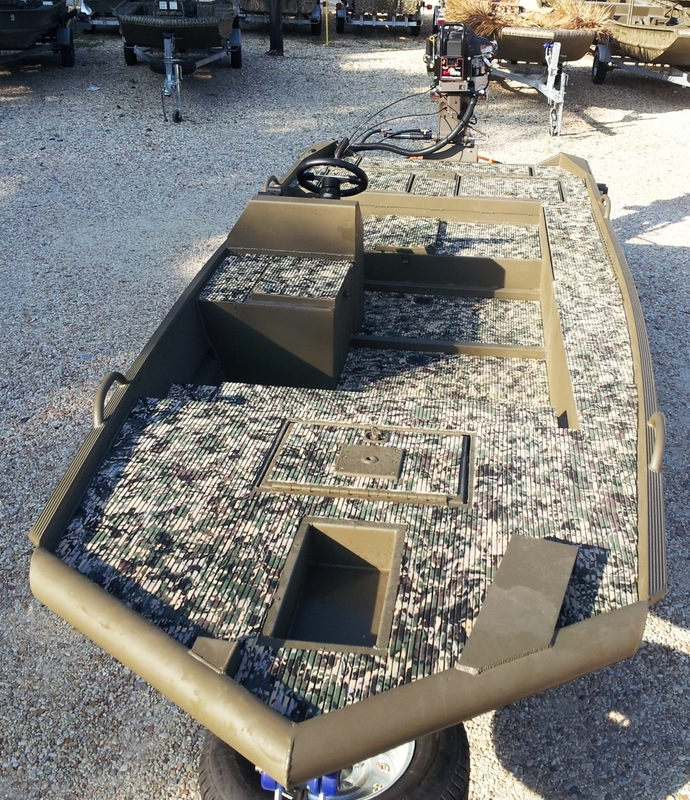 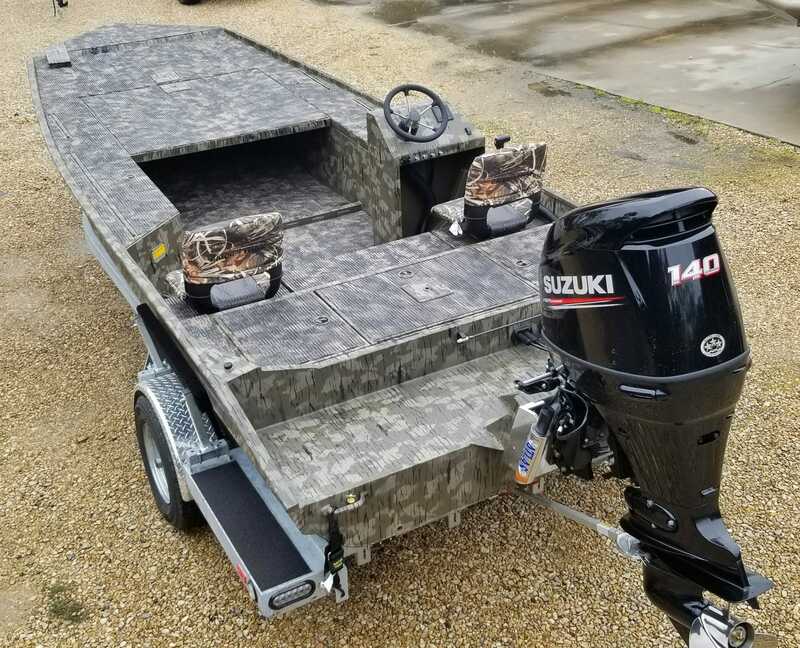 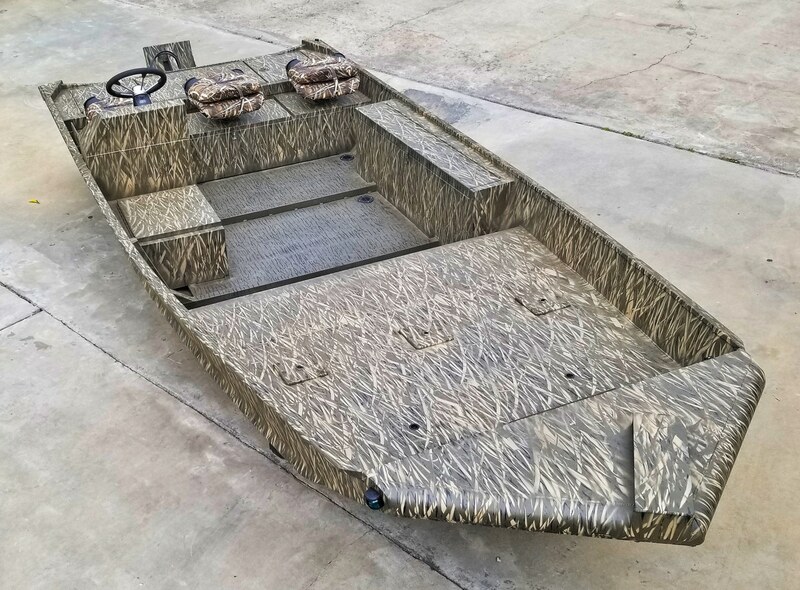 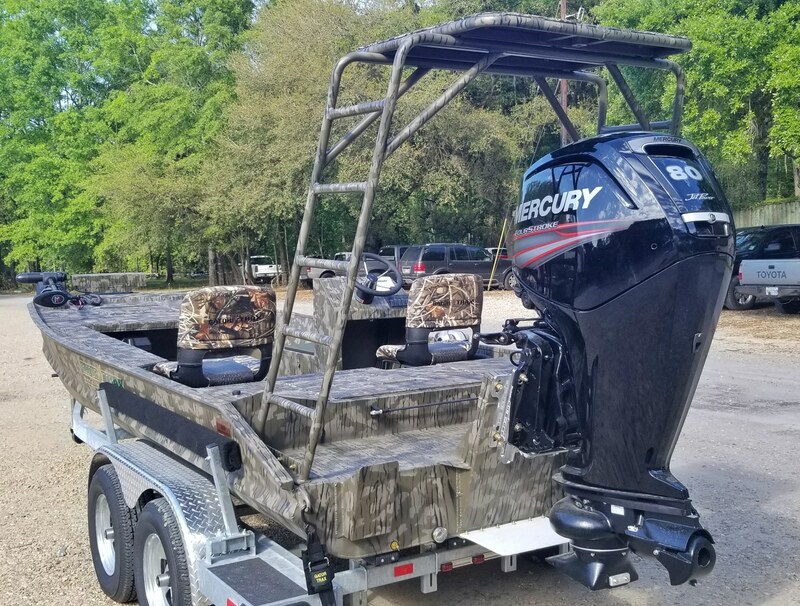 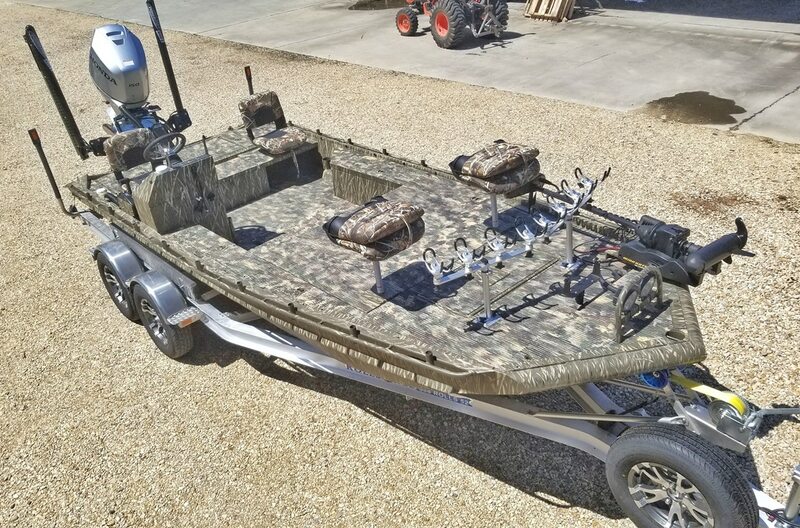 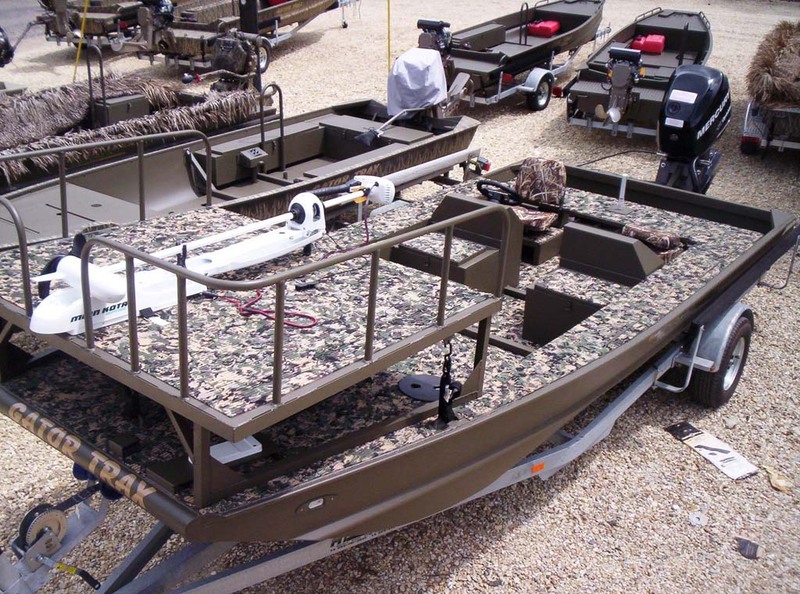 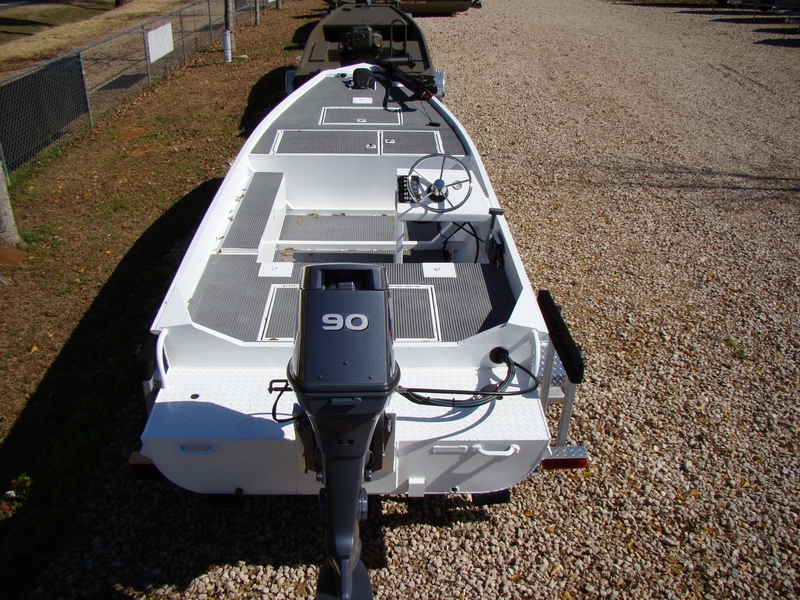 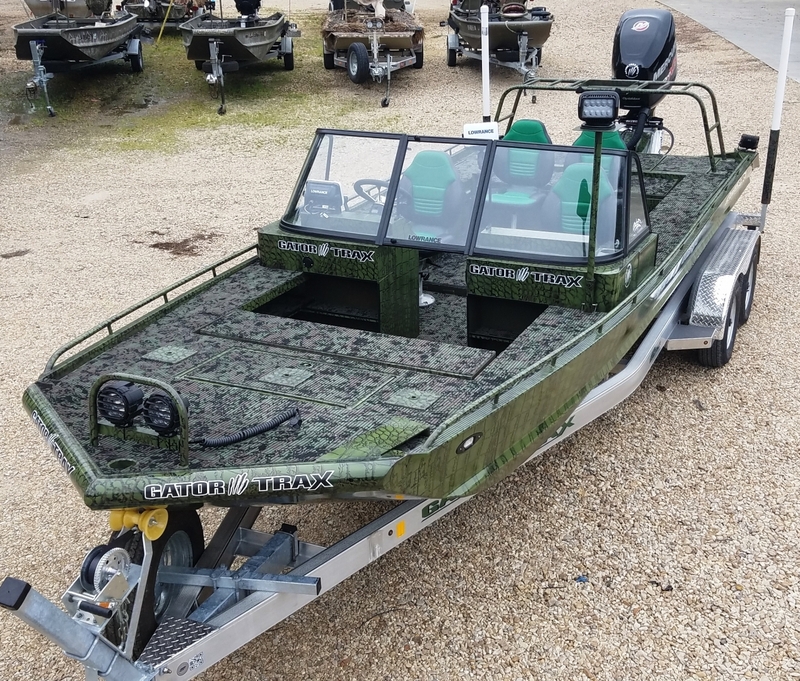 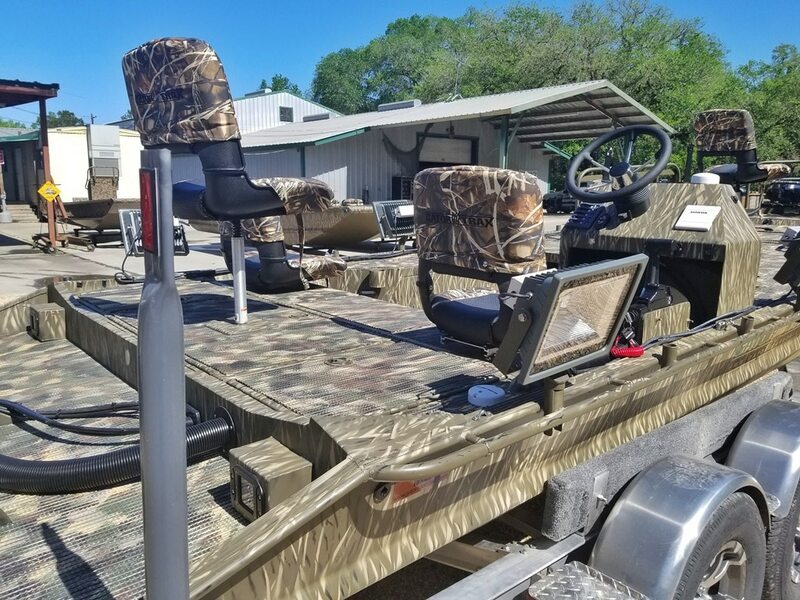 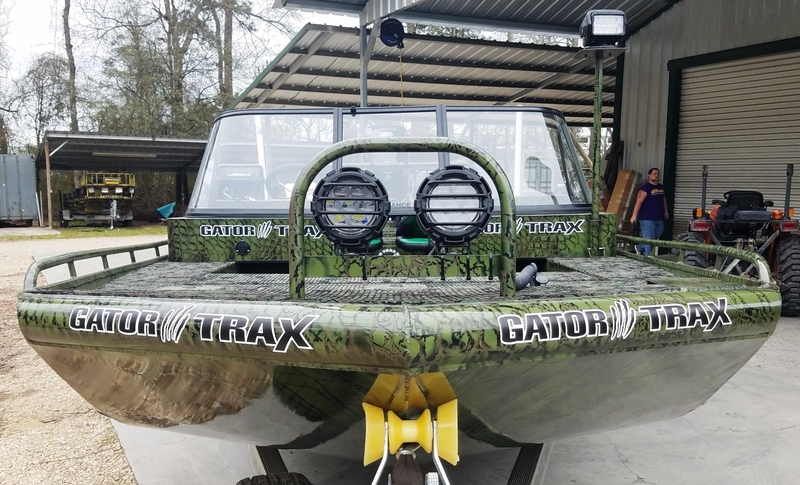 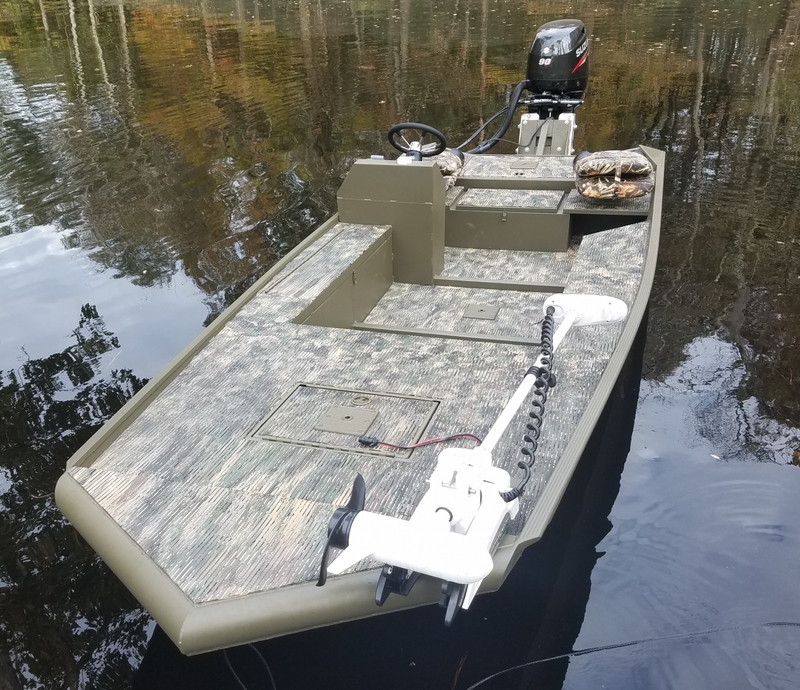 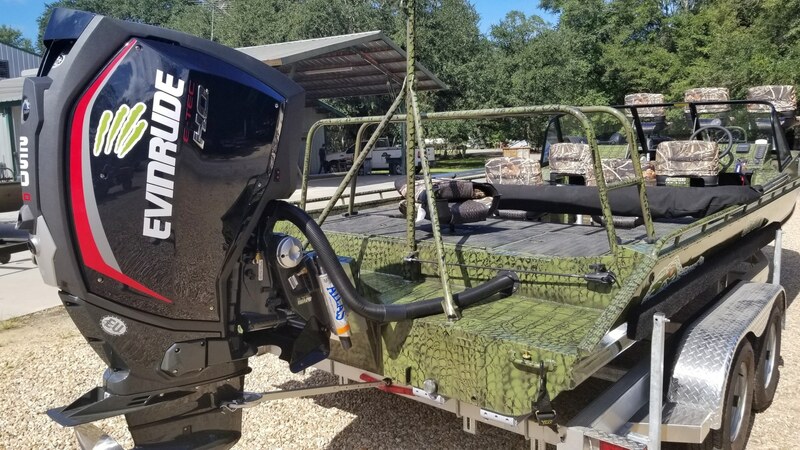 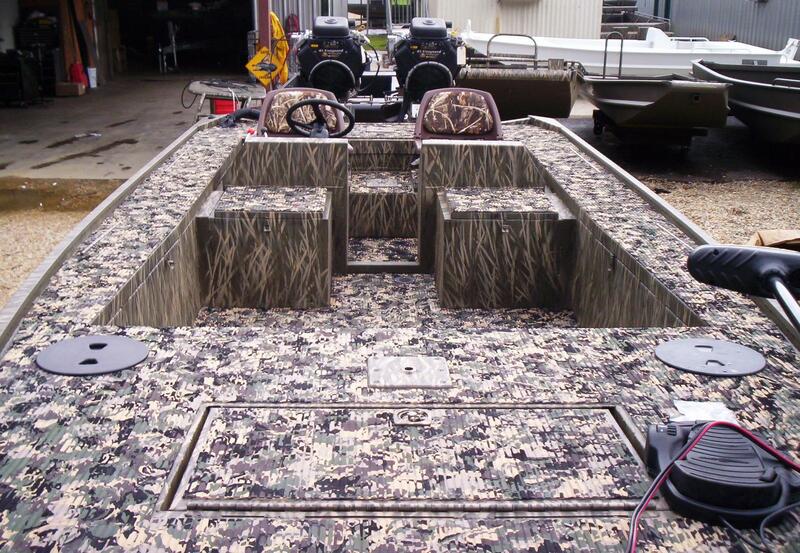 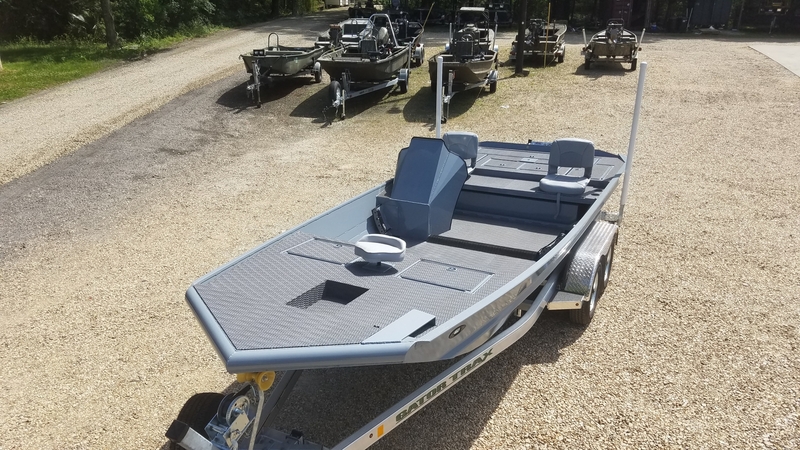 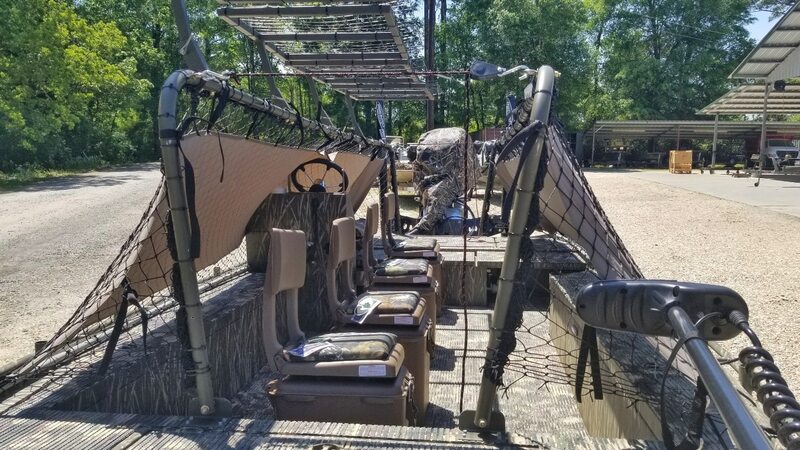 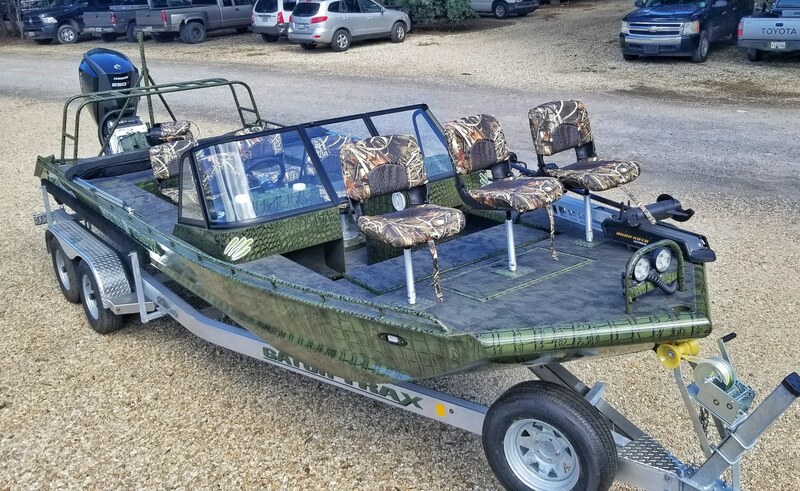 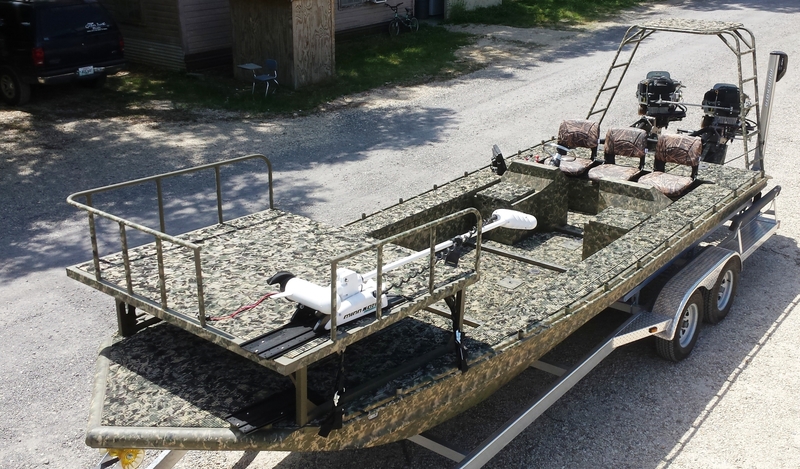 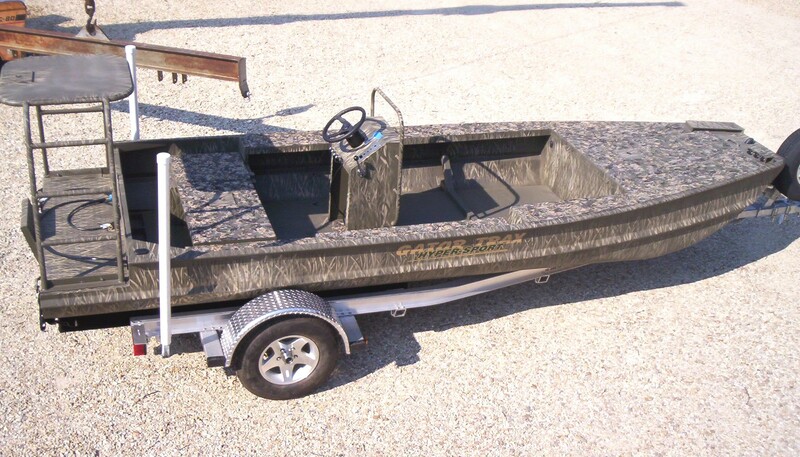 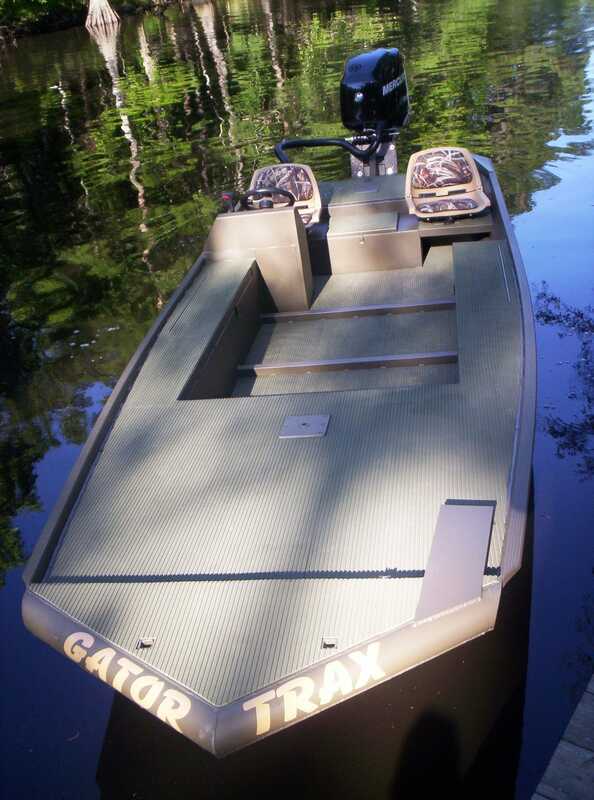 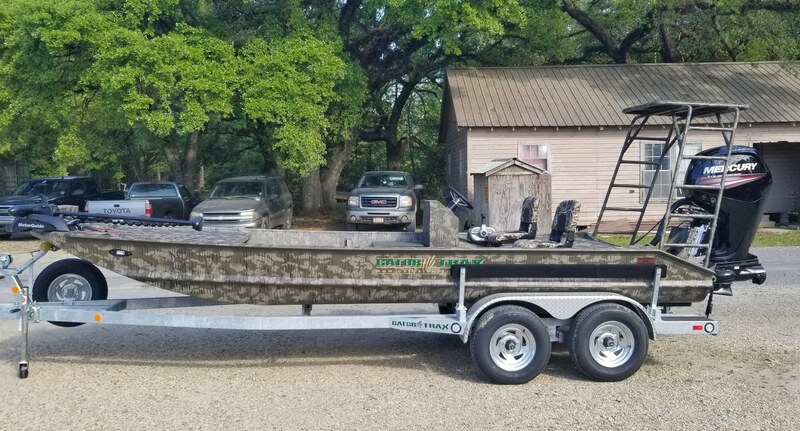 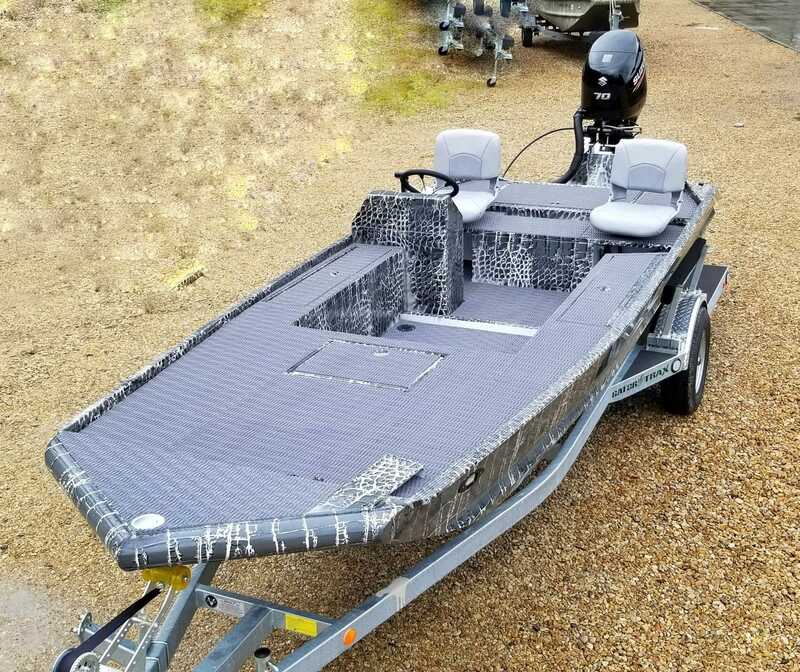 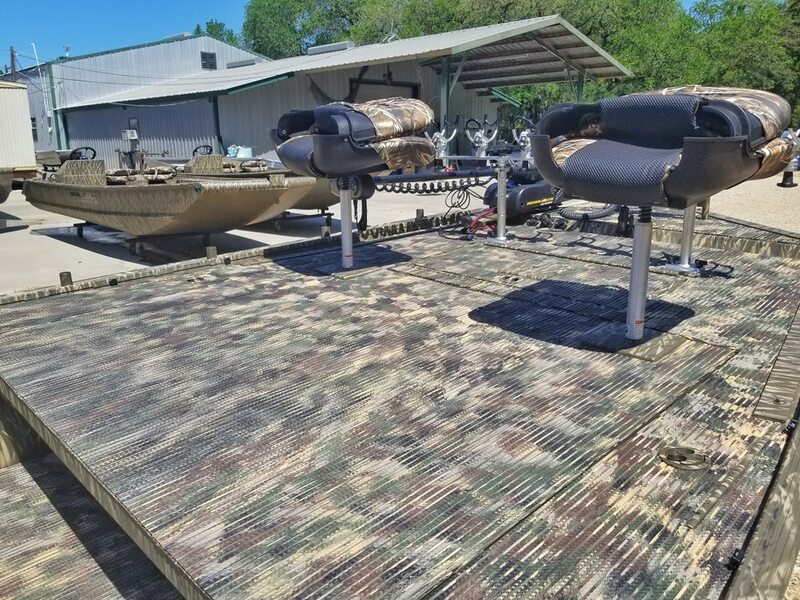 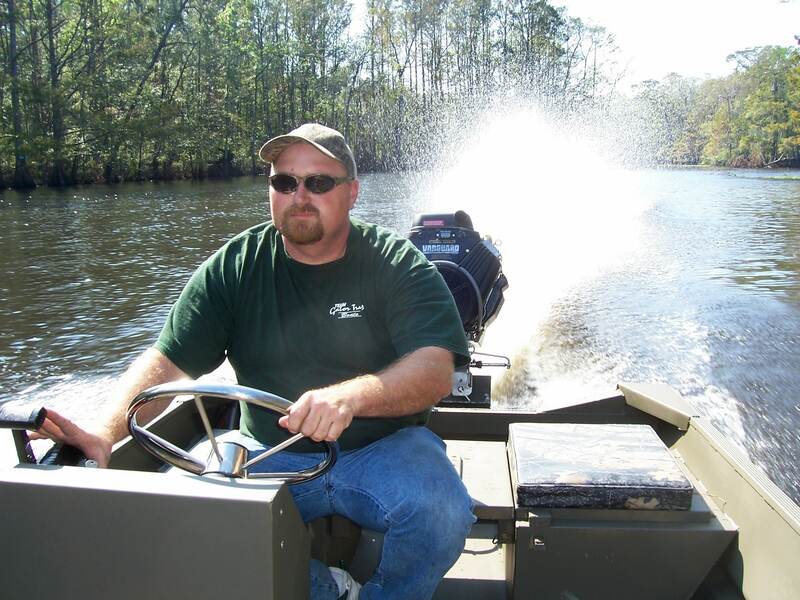 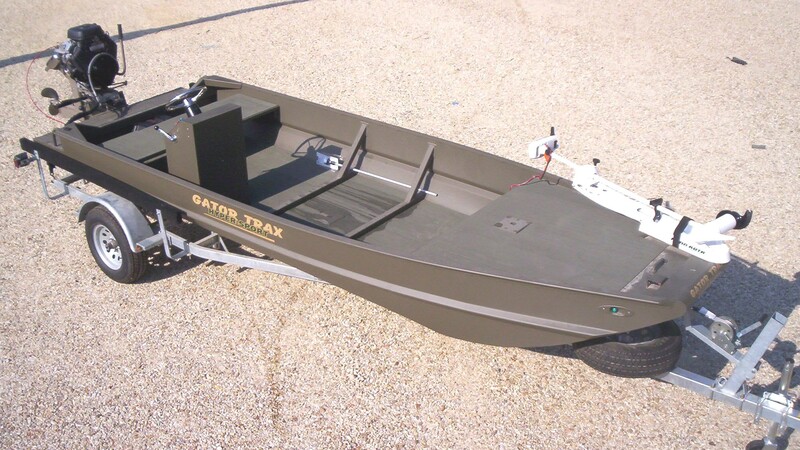 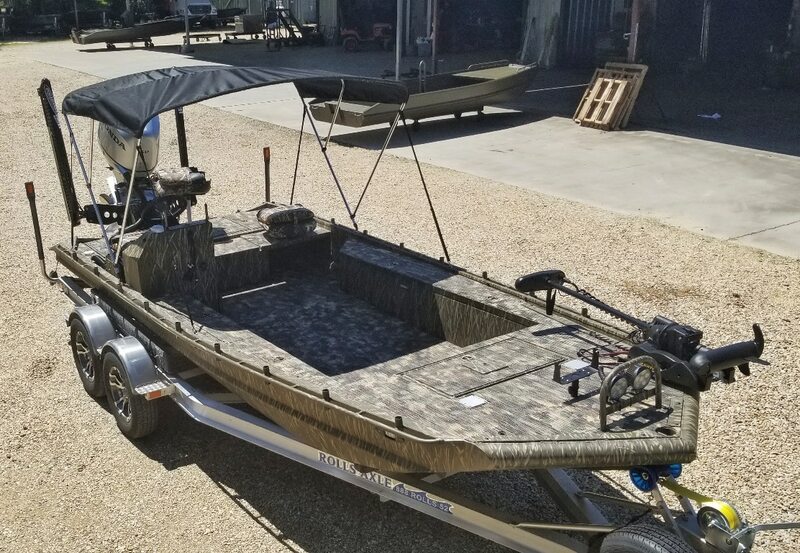 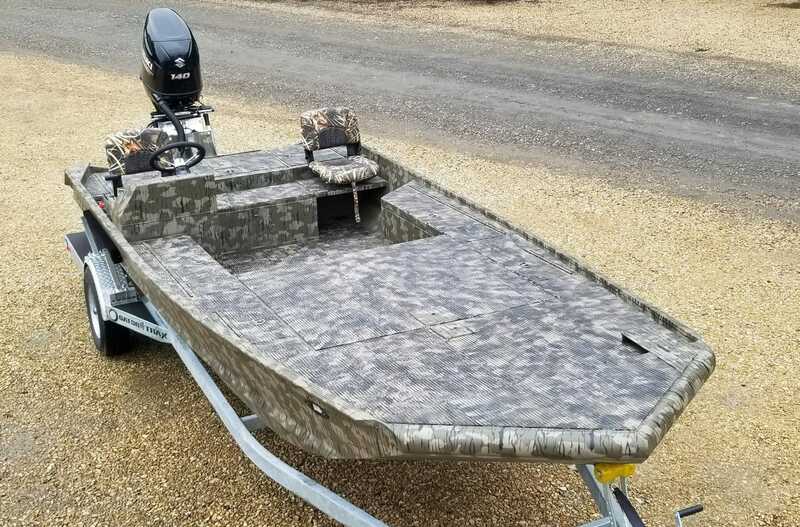 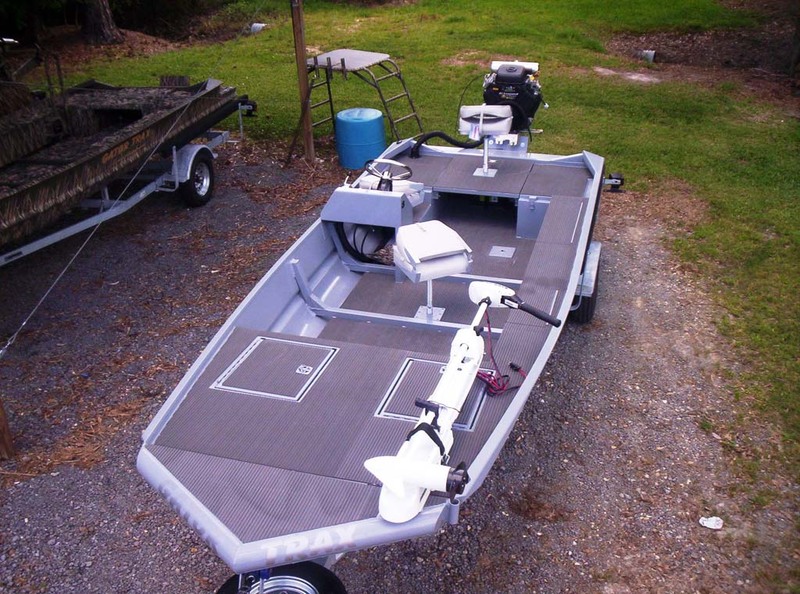 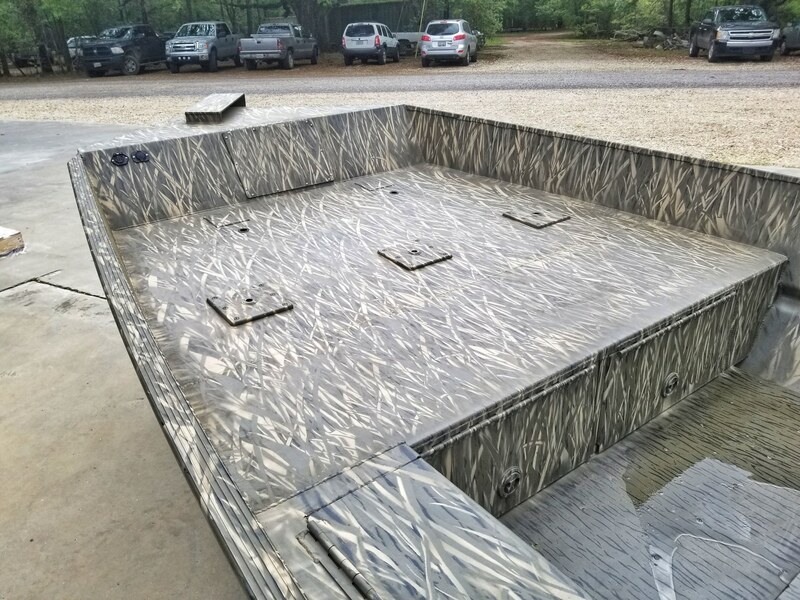 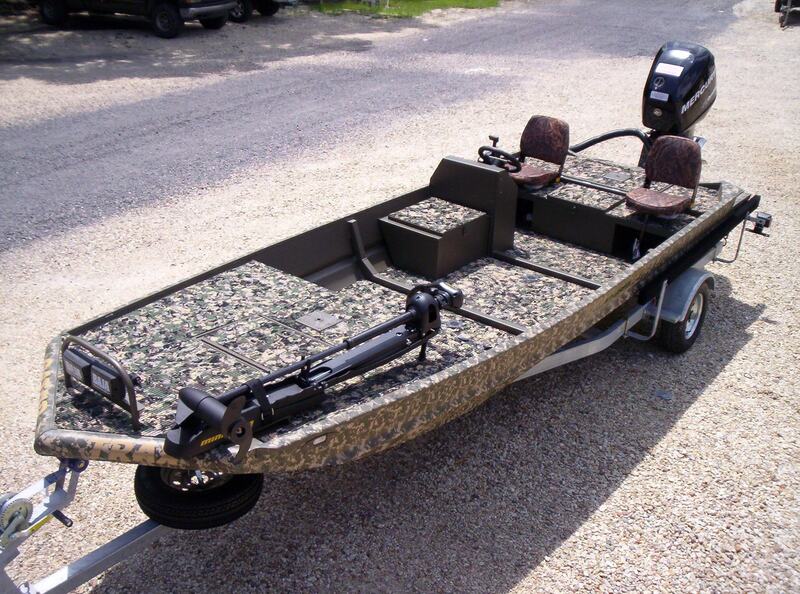 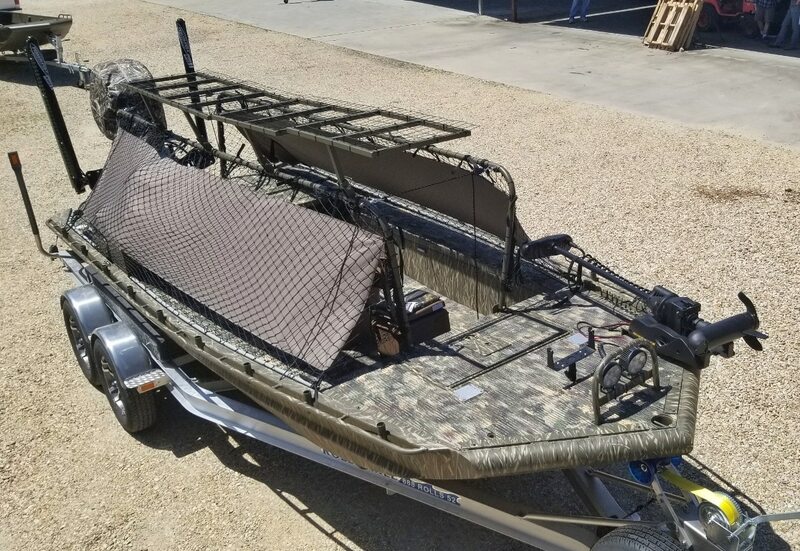 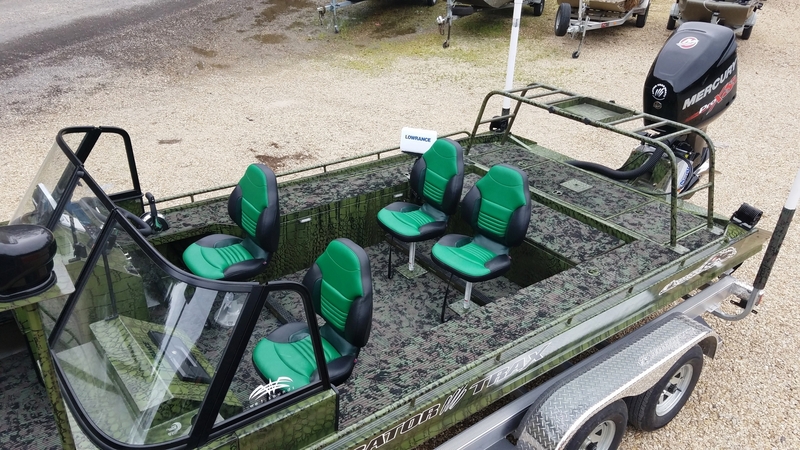 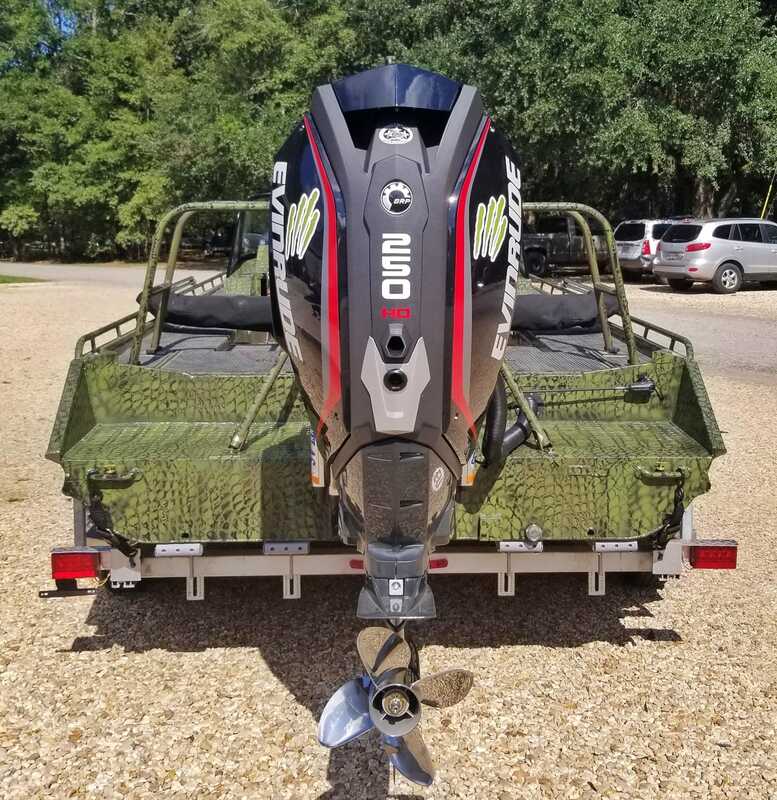 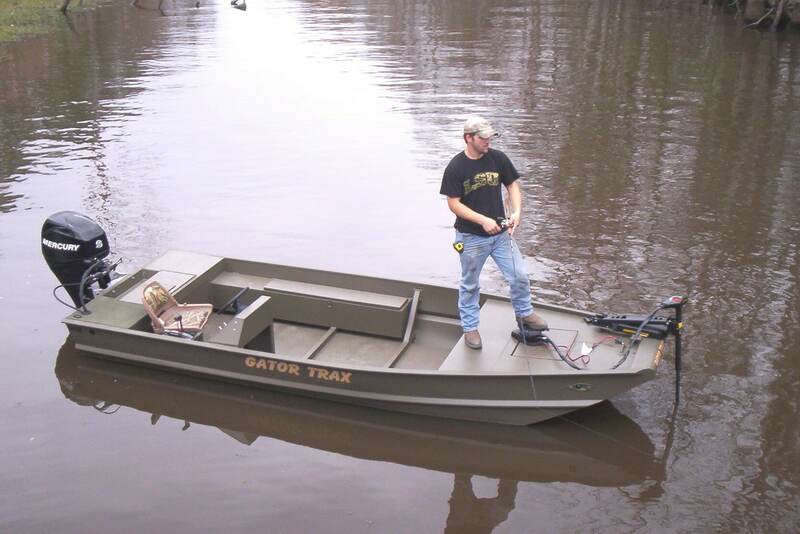 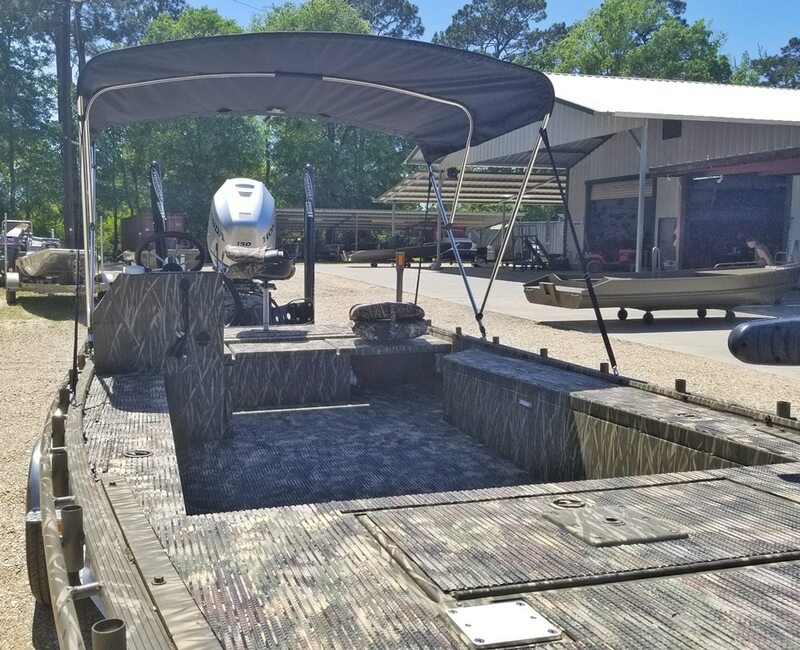 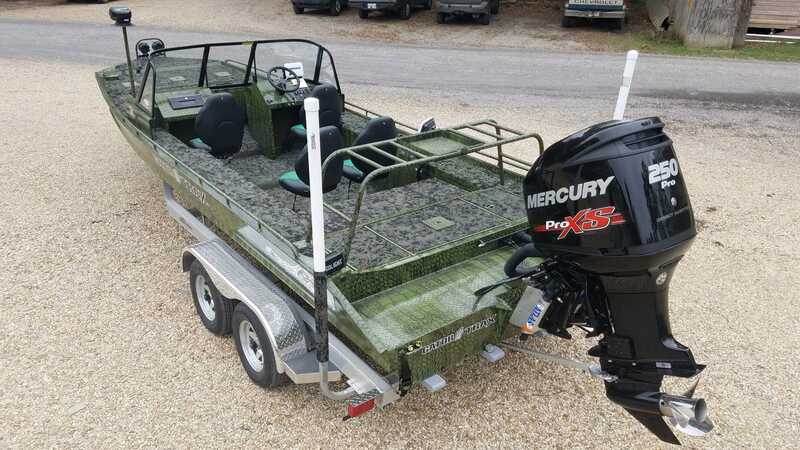 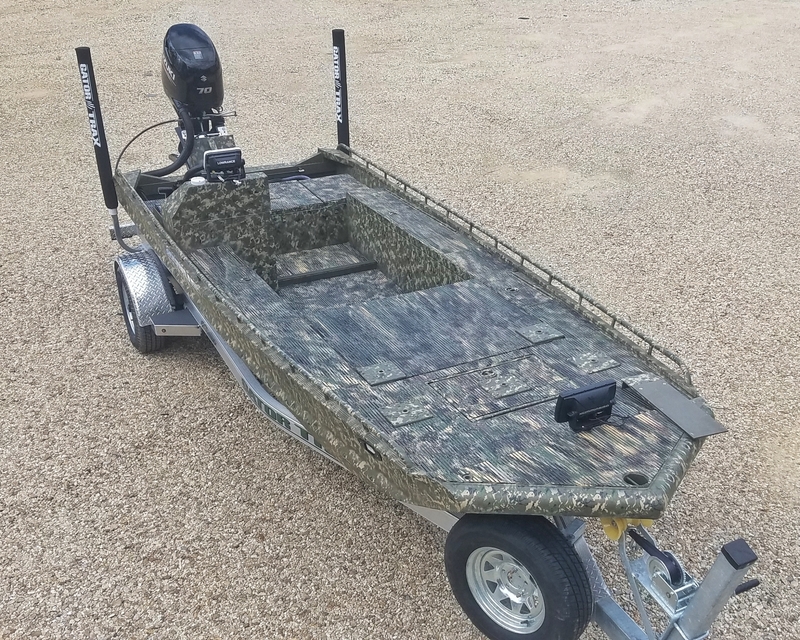 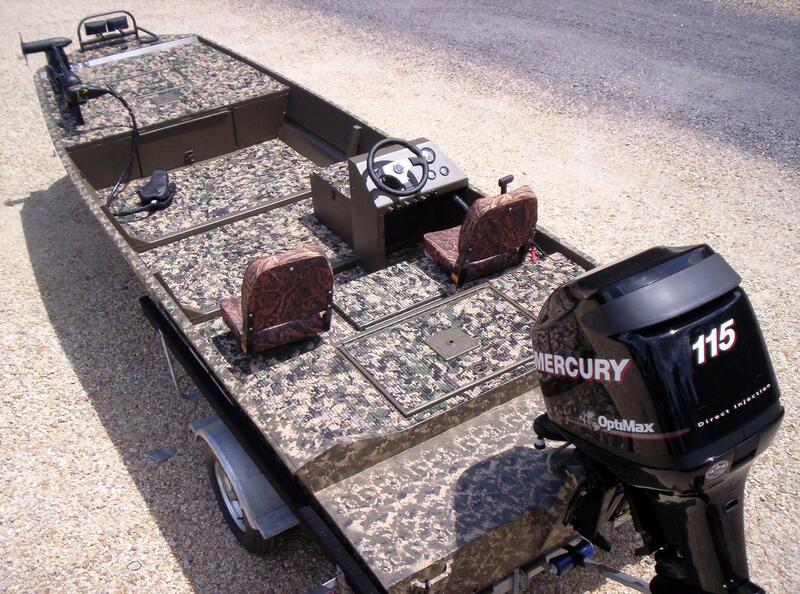 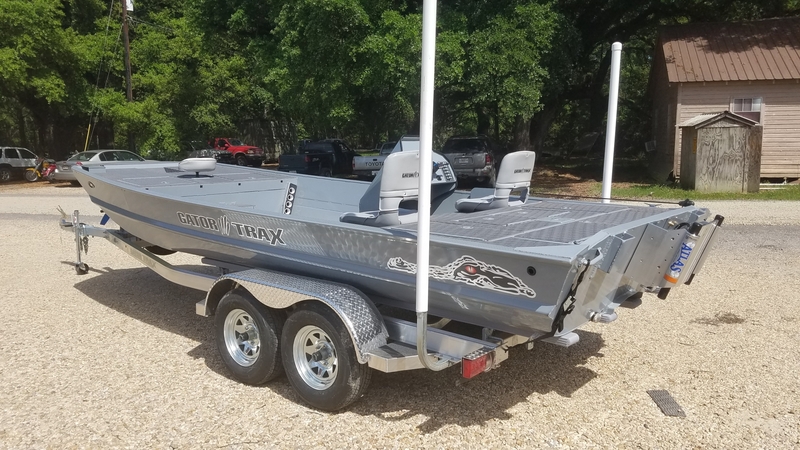 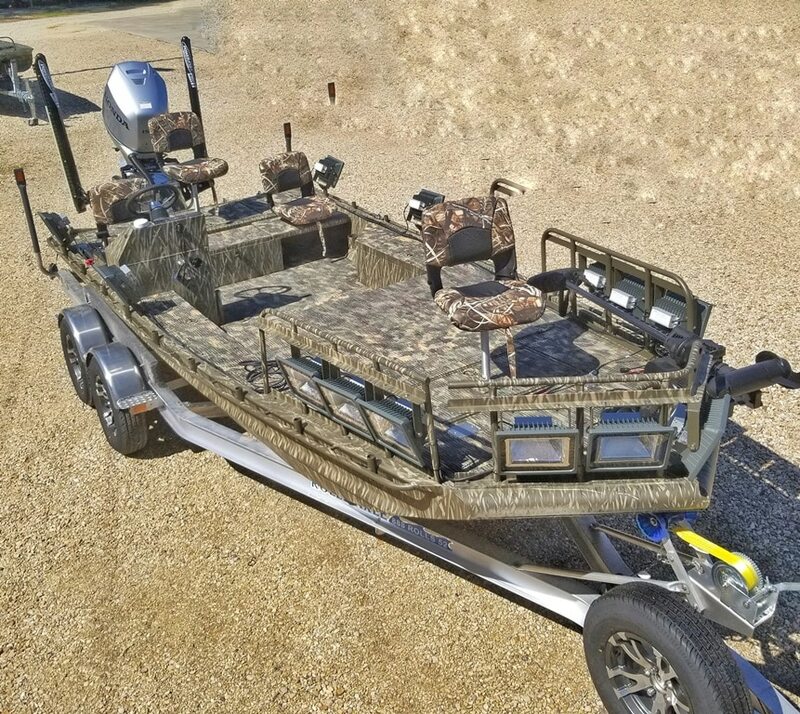 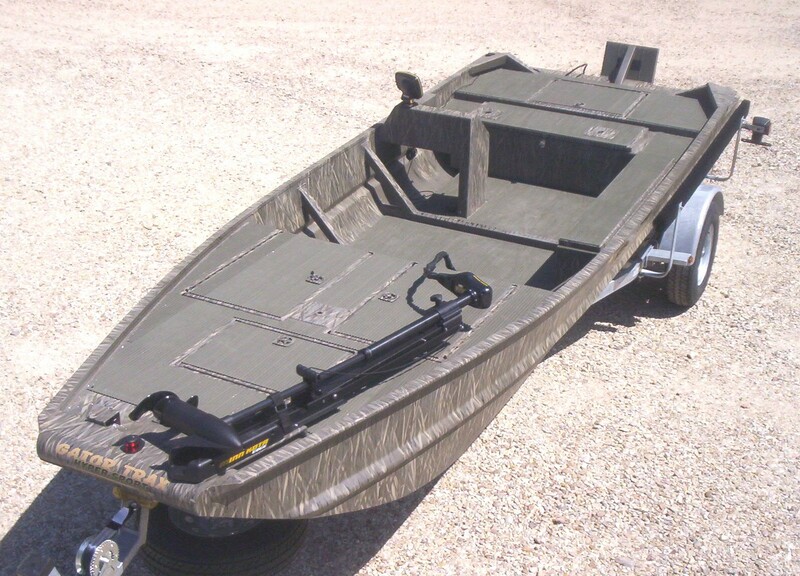 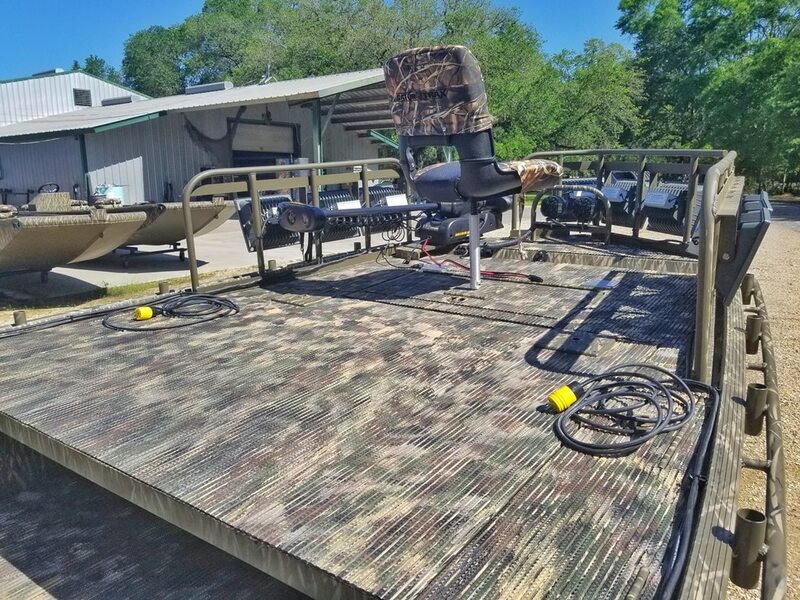 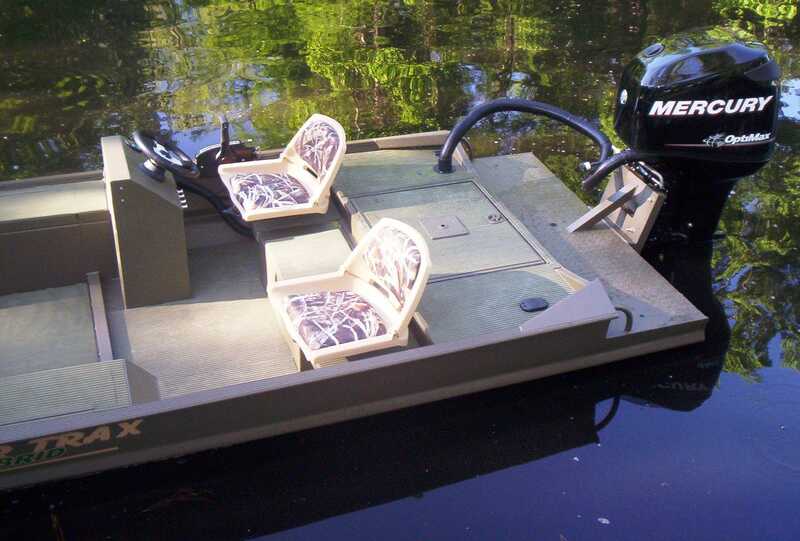 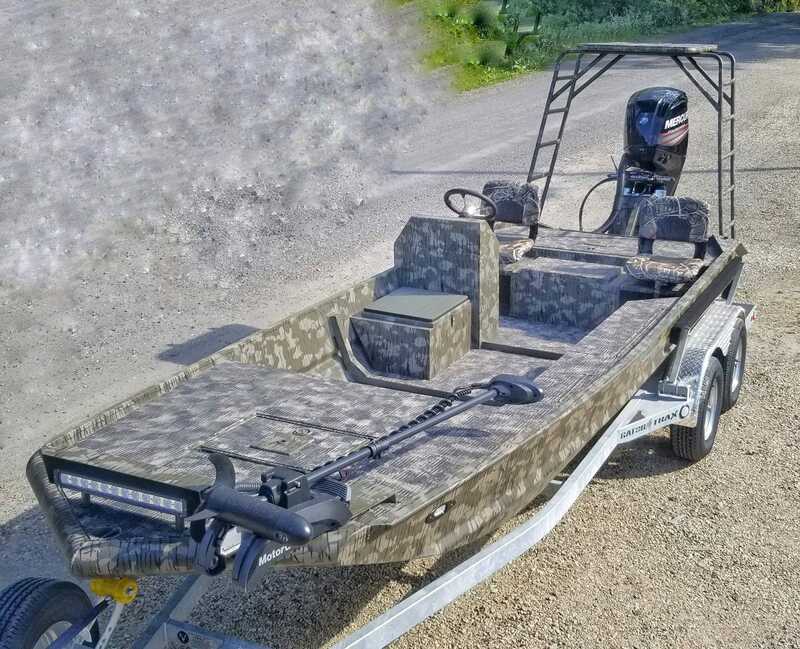 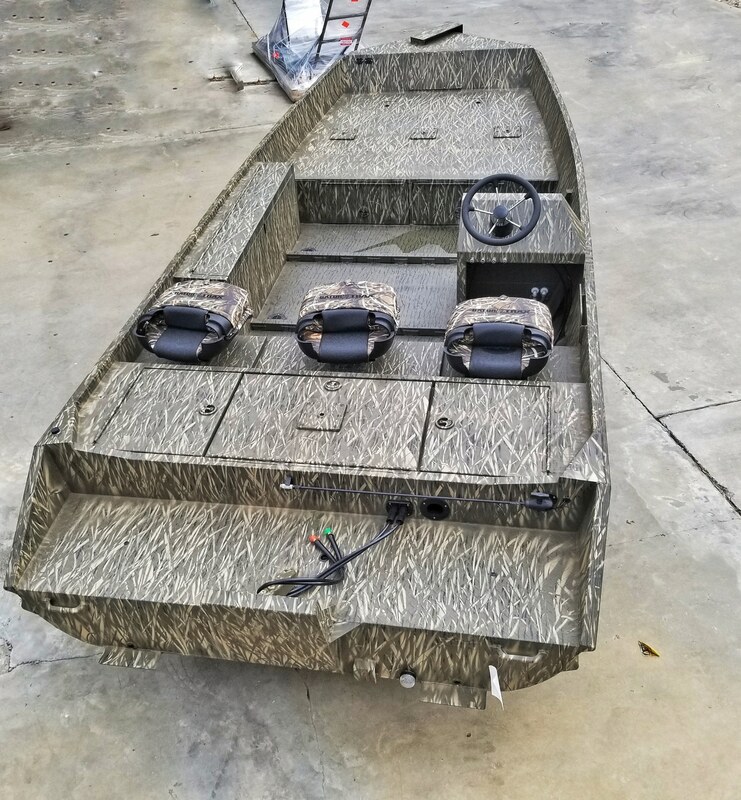 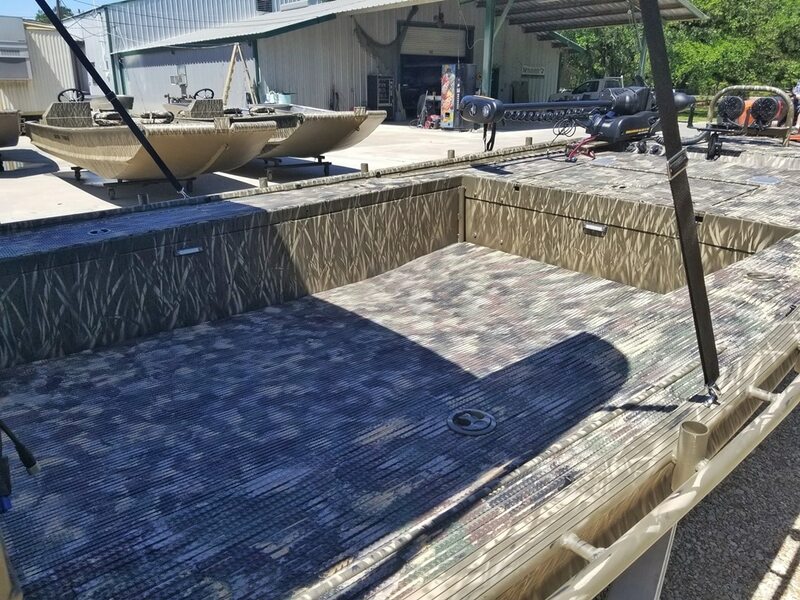 Designed to multi-function as a crappie fishing, duck hunting, and bass fishing boat. 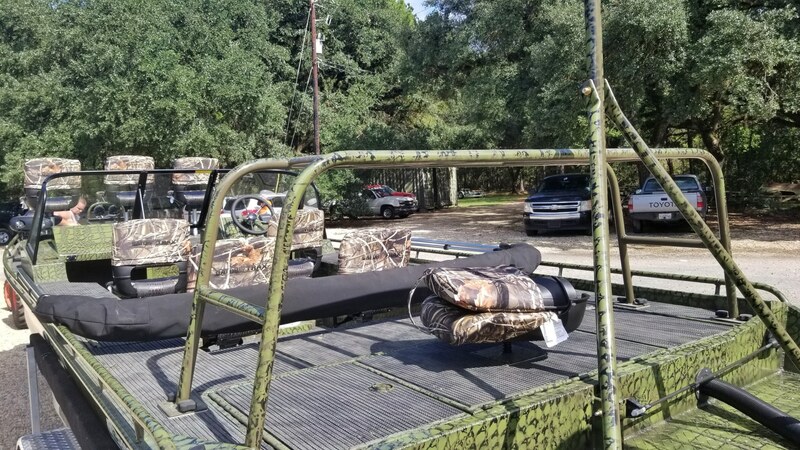 Rear storage bench featuring slide driver's seat, livewell, and seating for three. 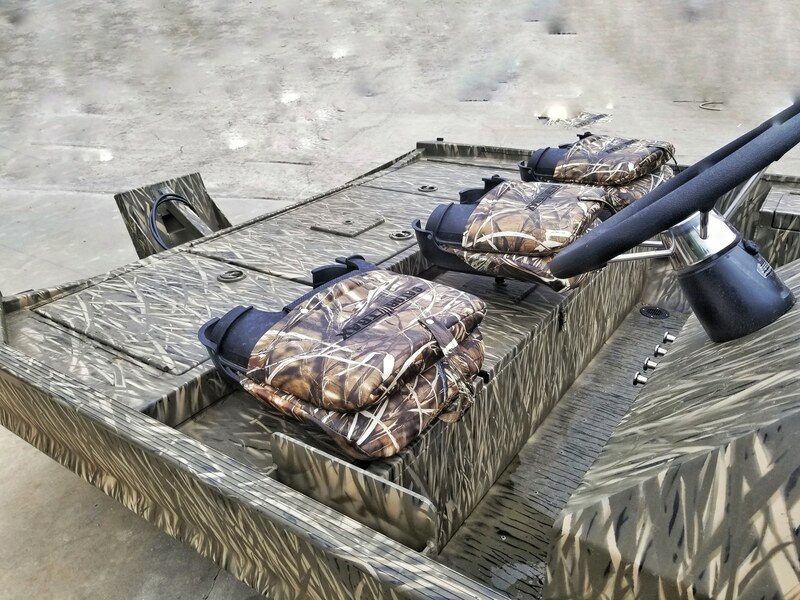 Drop deck designed to spider rig three men or two. 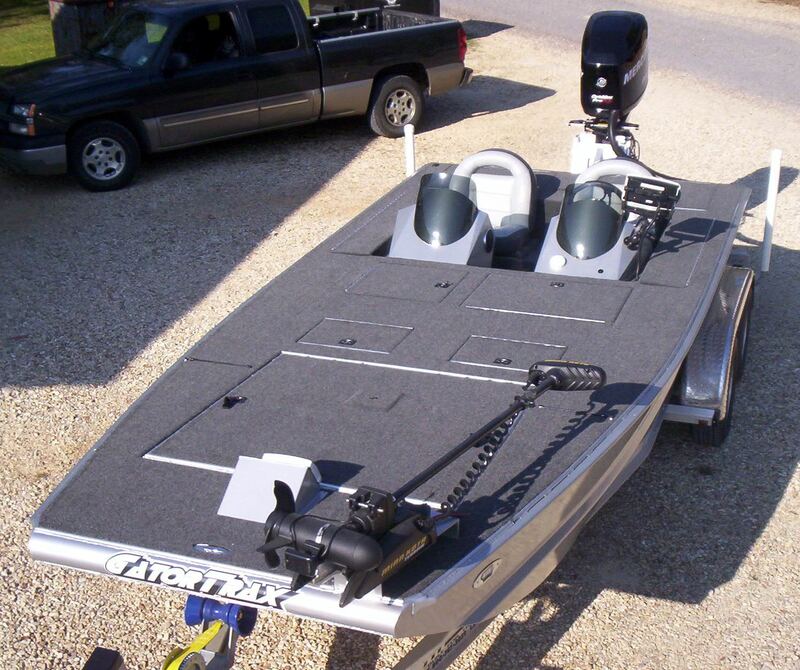 Flush mount GPS cutout allows up to 12" graph. 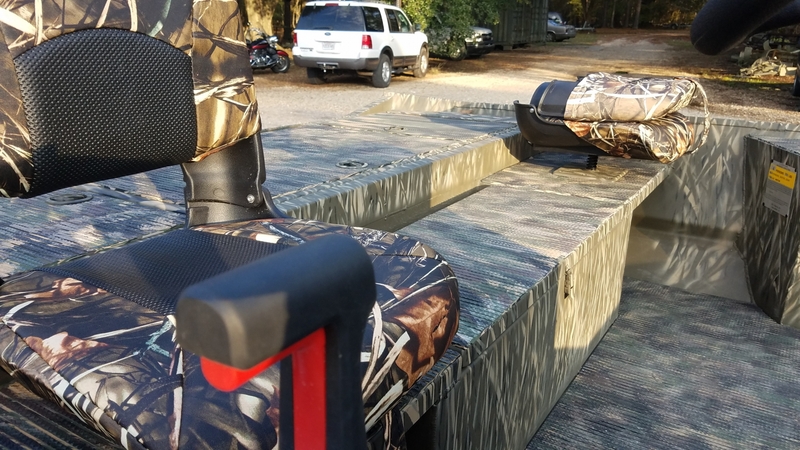 Pre-welded 3/16 plate in exact place to mount spider rig rod holders.